Set on a private natural-sand beach in Key West, this boutique resort is an intimate and elegant destination with a beautiful shoreline and breathtaking sunshine. Guests can enjoy spectacular views from the privacy of their own balcony, included with every room. This luxury getaway is steps away from world-famous Duval Street and offers spectacular on-site amenities such as an oceanfront pool, deep sea fishing, snorkeling, diving and more. 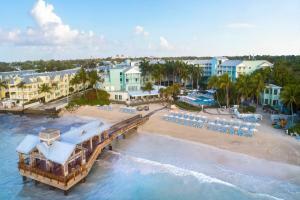 Located just two miles from Key West International Airport.